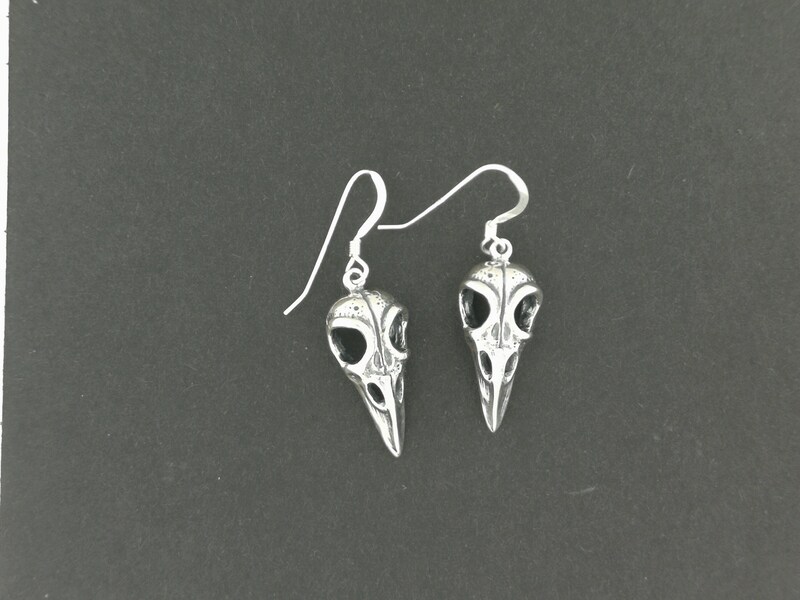 These are a pair of handmade sterling silver raven skull earrings I recently started making. 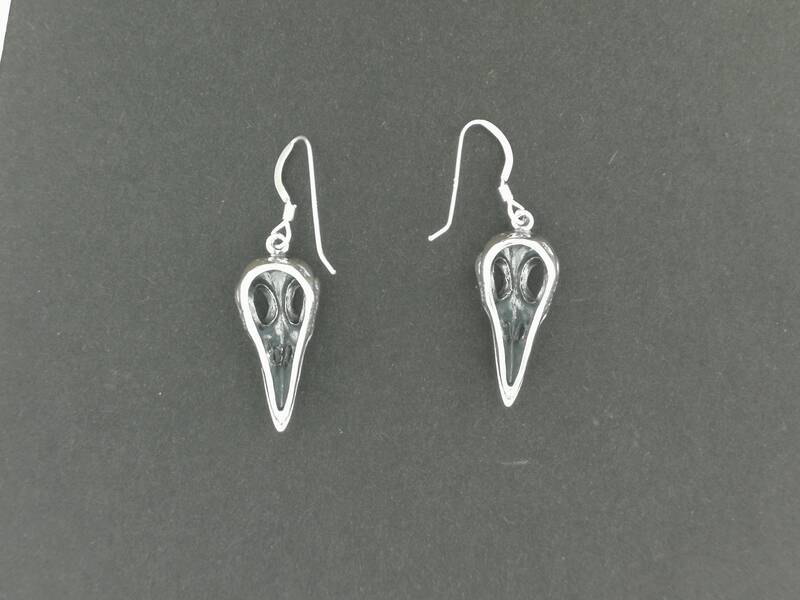 These raven skull charms are 2.2cm long and 1cm wide and the these and the ear wire are made in .925 sterling silver. The charms are hollowed out in the back, making them light enough for every day wear. I can also make these in antique bronze gold, so contact me for an estimate for the costs. I also will eventually have these as charm pendants available in my shop.